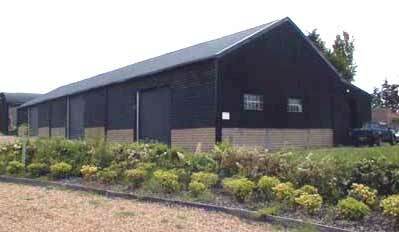 Quality rural office space, business units, commercial premises, storage, warehouses for rental near Cambridge & Huntingdon. Studio 6 (left entrance) is a traditional barn conversion giving large storage/ warehouse premises allowing high storage and containing an office work-space and toilet facilities. 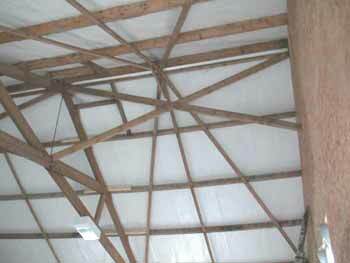 The building has an exposed rare and elegant roof structure, now fitted with an insulated roof and quality lighting. Full size power roller doors with a side pedestrian/disabled door give excellent access. Rents usually include water, exterior maintenance and common area upkeep. Longer term tenants preferred on an tenant internal repairing and insuring lease. Shorter term leases may be accommodated depending on availability. Vat is expected to be payable on rents. Tenants are responsible for legal costs and rates set by local authority.